But the zoom-zoom folks aren’t about to let that happen anytime soon. The Miata is, as it always has been during its 26 years on this orbiting sphere, about being in the moment — an up close and personal partner in the driving experience. Even as other carmakers gave up on the affordable lightweight roadster segment and followed buyers of crossovers and SUVs, Mazda has steadfastly carried the two-seater torch first lit by the Brits after World War II. Now for 2016, an all-new fourth-generation MX-5 Miata renews its driver-focused mission with even greater intensity. Just look at it! Despite being three inches shorter than last year’s model, the new Miata’s swoopier. The brand’s latest KODO design broad shield grille and chiseled flanks — already classing up the look of the Mazda6 and Mazda3 — bring sharper, more angular lines to the two-seater. The Miata’s no longer that gawky-looking teenager with the gaping maw of Stay Puft’s Marshmallow Man. It’s shed its cherubic cheekiness and blossomed into a low-slung apex hunter with a long-hood, short-deck profile somewhat reminiscent of the BMW Z4’s but without all the flame-cut weirdness. Nothing else in the market comes close. Want some perspective? 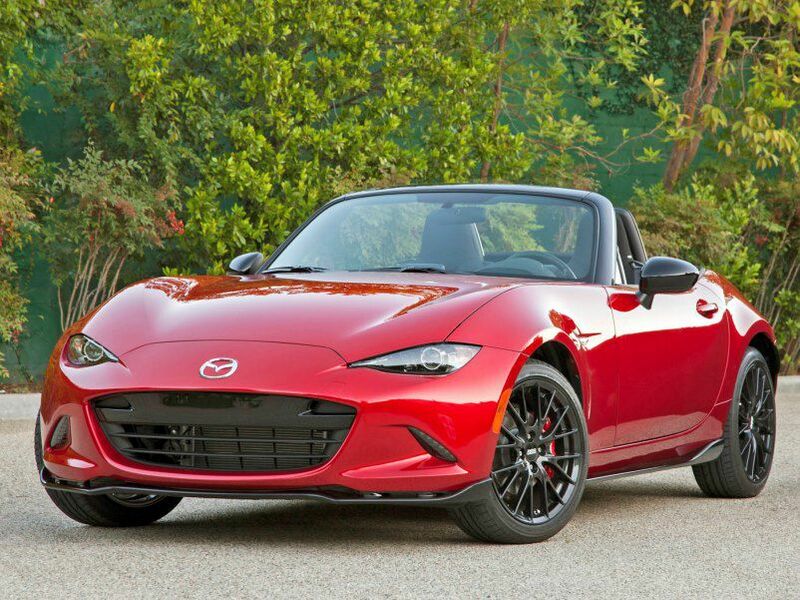 The new Miata is more than a foot and a half shorter and 700 pounds lighter than a Porsche Boxster. About the lighter bit: The new Miata is the first of the two-seaters to benefit from Mazda’s SkyActiv engineering philosophy. By using a generous percentage of high-strength steel, the 2016 MX-5 shaves around 150 pounds compared to last year’s model. Mazda claims a perfect 50 percent front/50 percent rear weight balance, with the front midships four-cylinder engine now mounted lower and further rearward in the chassis for a lower center of gravity and, thus, quicker reflexes. The car’s double-wishbone front and multi-link rear suspensions make generous use of aluminum. The hood, decklid and front fenders — aluminum as well. Also part of the diet is a lighter transmission, brakes, seats and A/C system. Even the MX-5’s sleek standard LED headlamps contribute to the mass reduction. The SkyActiv push continues under that long, low hood. The 2.0-liter DOHC four-cylinder switches to direct injection for improved torque and driveability. Peak output is actually down, to 155 horsepower at 6000 rpm from last year’s 167 at 6700. But the new engine actually makes more horsepower than the old one at the lower and middle engine speeds drivers actually use in day-to-day operation. Ditto for torque, which climbs from last year’s 140 lb.-ft. at 5000 rpm to 148 at 4600. The 2016 car feels faster as well, sprinting from rest to 60 mph in under 6 seconds in third-party testing — about a half-second quicker than last year’s stat. 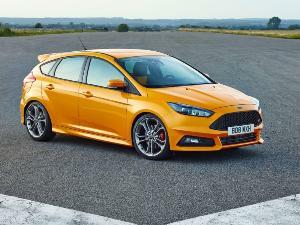 The big bonus from all the lightweighting is a sizeable bump in fuel-efficiency. 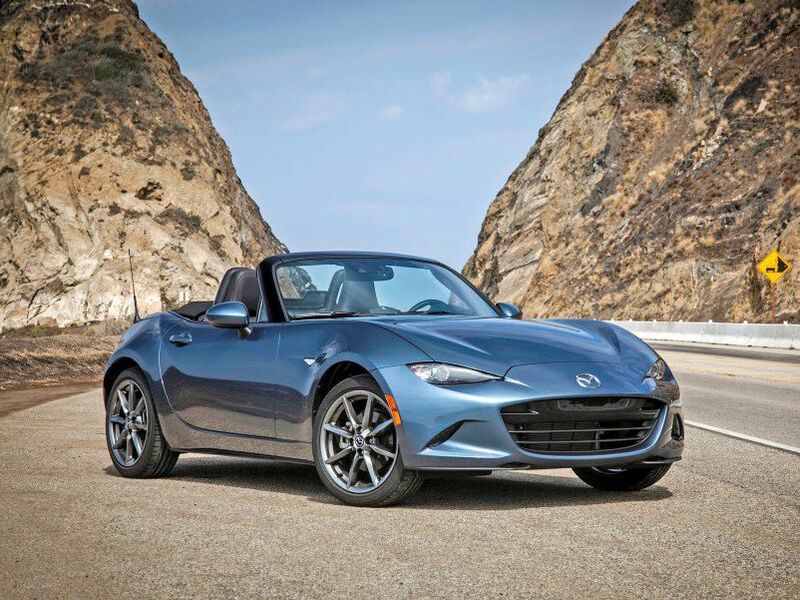 Comparing 6-speed manual-equipped cars, fuel-economy jumps 25 percent, from an EPA-estimated 21 mpg city/28 mpg highway for the 2015 model to 27/34 in the new Miata. 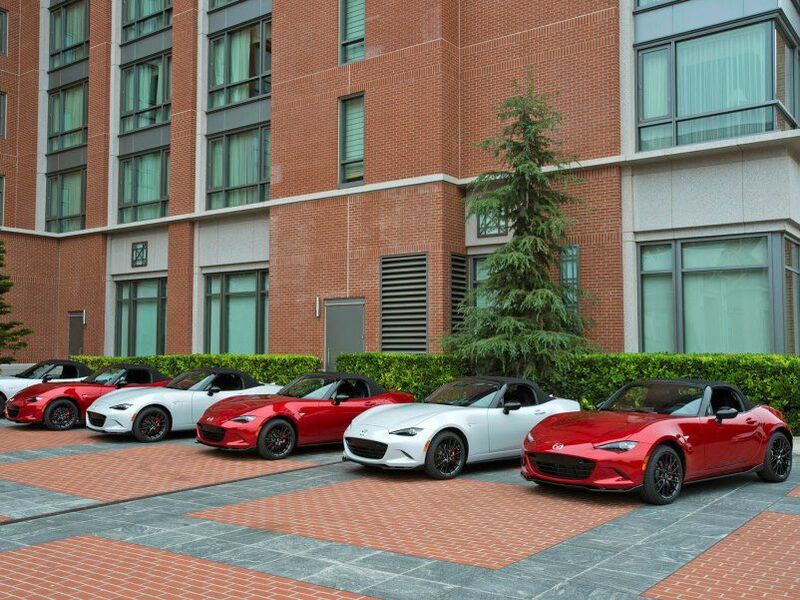 The 2016 MX-5 is available in three flavors: base Sport, racier Club, and range-topping Grand Touring. The base Sport emphasizes value with a long list of standard equipment that includes a tilt wheel (but no telescope); A/C; pushbutton start; Bluetooth phone integration and audio streaming; cruise control; keyless entry; cloth seats; a cloth top with glass rear window; dual exhaust outlets; leather steering wheel, shifter knob and parking-brake handle; one-touch-down power windows; power door locks and mirrors; six-speaker audio with a USB port and CD player; and 195/50R16 tires wrapping alloy wheels. A 6-speed manual is now standard (last year a 5-speed manual was standard and the 6-speed optional); a $1,075 6-speed automatic is optional. The only cheap touch is the snap-fit removable cupholders. Just $24,915 (plus $820 destination, for all models) gets you out the door with the Sport. The $28,600 Club trim summons everyone’s inner SCCA trials racer. Standard fare encompasses front and rear spoilers, Bilstein shocks all around, and meatier 205/45R17 performance rubber wrapping 17-inch alloys. Inside, there’s body-color trim atop the door panels and red stitching on the cloth seats. Manual-transmission models get an extra dose of testosterone via a standard front shock-tower brace, a limited-slip differential, and an intake sound enhancer that gives the Miata a throatier sound when the accelerator’s stabbed. Upscale touches include a Bose premium audio system with headrest speakers; proximity keyless entry; the Mazda Connect infotainment system with 7-inch color touchscreen, voice recognition and Audi MMI-like command wheel, plus HD and SiriusXM radio. 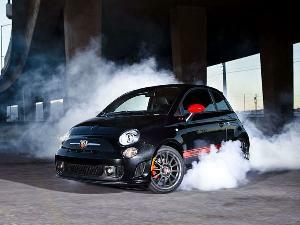 An optional $3,400 BBS/Brembo package exclusive to the Club model boasts forged, black-painted BBS wheels, Brembo front brakes, red-painted calipers, an aero rear fascia, and ground-effects side sills. At the top of the Miata food chain is the lux-oriented $30,065 Grand Touring. It heaps on such amenities as heated, leather-covered seats; navigation; automatic climate control; rain-sensing wipers; a lined top; automatic high-beam control; auto-dimming mirrors; and a Homelink garage-door opener. Standard safety systems exclusive to the GT include lane-departure warning and blind-spot and rear cross-traffic monitors (the last two of these systems actually prove useful when the top is up). 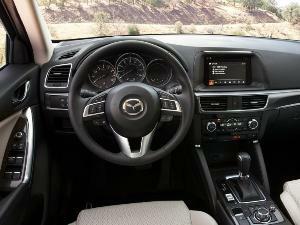 As with the Club model, the GT also comes with Mazda Connect infotainment, a 7-inch touchscreen, premium Bose audio system, 17-inch wheels and, on manual-transmission models, the induction sound enhancer. f you’ve never driven a stick-shift car and thought about trying one out, do it in a Miata. The clutch pedal is easy to modulate, weighting is natural, and takeup is smooth and drama-free. Ditto for the synaptic responses of the steering and brakes. Pedal response is crisp, linear and inspires confidence. The new dual-pinion electrically boosted steering makes the car feel more stable and planted at speed, and there’s an organic buildup of effort when cornering that’s reassuring. While the Miata’s standard dual exhaust is music to the ears (especially with the top down), one particularly enjoyable embellishment is the intake sound enhancer on Club and GT models. It amplifies the throaty “whaaaaamp” created by intake air rushing past the throttle plates when you stomp on the gas pedal — totally intoxicating! The car quiets down with the cloth top up thanks to an aluminum panel under the forward section of the top that minimizes buffeting. Or for alfresco interludes with a sound track you can sing to, Club and GT trims come with a Bose audio system with headrest-mounted speakers, which help with clarity and cut through some, but not all, ambient noise. Mazda doesn’t offer a retractable hardtop on the 2016 model, but the cloth top goes up or down easily with just one hand — as advertised. Everything should be this simple. There are a few nits. As mentioned, the steering wheel doesn’t adjust telescopically, and the cupholders that snap into the console look like an afterthought. While I was shifting gears, my right shirtsleeve kept bumping the command wheel on the infotainment system and changing radio stations. With two aboard, there’s not a whole lot of extra space for phones, iPods and other electronic detritus, and the roomy and lockable storage bin at the cabin’s rear, which takes the place of a dash-mounted glovebox, is darn near impossible for non-contortionists to reach once strapped in and underway. 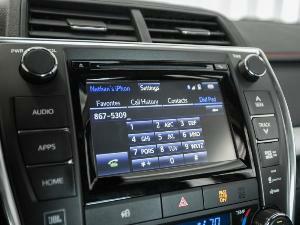 Also, the touchscreen is inoperative when the car is moving — a distracted-driving consideration. Provided someone knows how to row a manual transmission, it’s relevant to ask why that person would opt for an automatic when the Miata’s manual gearbox is at the top of its game. Or why someone would choose a car that, from every dynamic direction, firewire’s itself to the driver’s synapses, then elect to opt out of the shifting gears part. 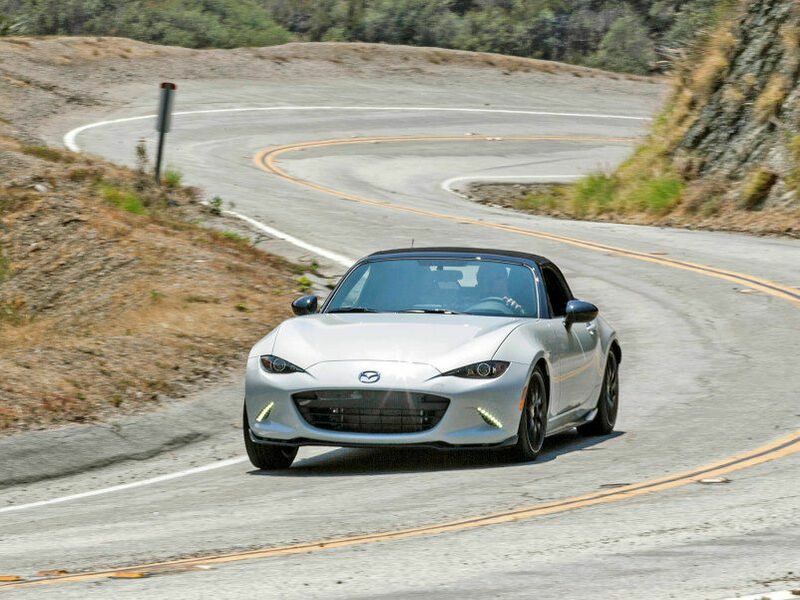 Well, the MX-5’s 6-speed automatic, far from being autonomous, is appropriately involving, offering crisp shifts and available paddle-shift manual operation — in other words, an automatic Miata does not feel like a rental car. There certainly are faster two-seaters and machines that generate impressively high levels of threshold handling. The Audi TT, Porsche Boxster, BMW Z4, and Mercedes-Benz SLK250 start at nearly double the cost of a Miata Sport and go up from there. 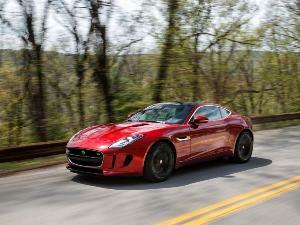 They pack more horsepower and more luxury amenities fitting of premium brands, but none are substantially quicker and in most cases are not as agile. So for now, it’s pretty obvious that when it comes to two-seat roadsters, the miniscule Miata is most fun for the least money out there. Keep a tight grip on that keyfob.